In order to be one of the 600 women who will enjoy Yoga + Run + SUP in the Riviera Nayarit, all you have to do is buy a minimum of MX$1,899 in Roxy or Quick Silver articles at Liverpool and you’ll get a spot. 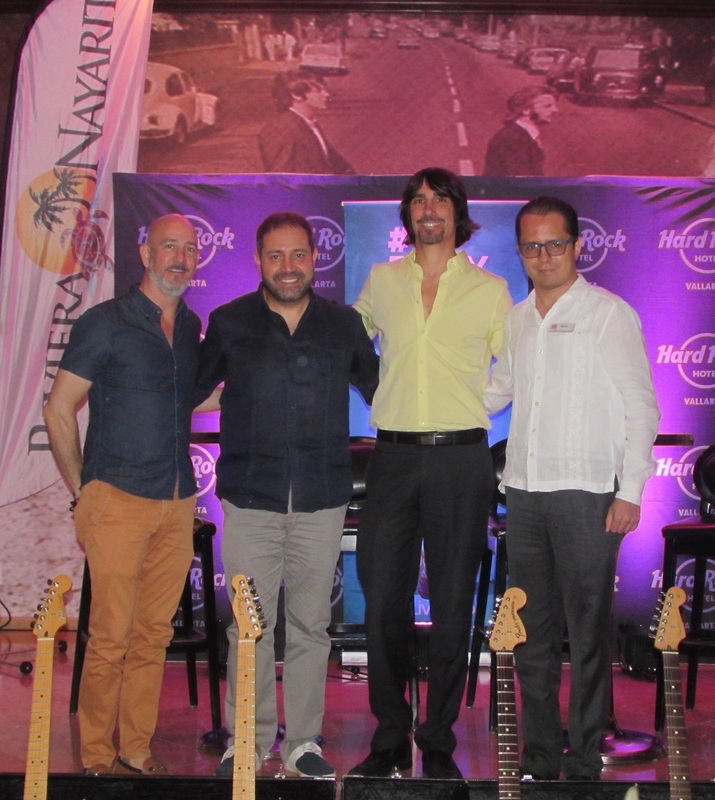 Host hotel Hard Rock Hotel Vallarta (HRHV) in Nuevo Vallarta announced the 2nd edition of the Roxy Fitness Riviera Nayarit at a press conference on Thursday, February 23, 2017. The event will take place on Sunday, March 19, 2017. The conference was comprised of representatives from the main sponsors of the event: Luis Entrala, General Manager of HRHV; Roxy Director Eduardo Araiza; Marco Maravilla, head of Liverpool’s Beach Department; and Marc Murphy, Managing Director of the Riviera Nayarit Convention and Visitors Bureau. The event is for women only, and consists of a giant 45-minute yoga class starting at 6 a.m., followed by a 5K race on the beach at Nuevo Vallarta at 7 a.m. and a 3K Stand Up Paddle (SUP) race around a circuit in front of the hotel at 8:15 a.m. This year, the number of participants is being lowered to 600 in order to guarantee that all the women can enjoy all three activities. The Riviera Nayarit is the only place in Mexico where Roxy organizes this signature event, which is also held in Australia, the United States, Korea, France, Japan and other countries. The intention is for it to become one of the destination’s anchor events and continue on for many years. In order to register a minimum purchase of MX$1,899 worth of Roxy and Quicksilver products in Liverpool stores around the country is all that’s required. Afterwards, you must visit the official website to register and hold your spot. For more details visit http://www.roxyfitnessmexico.com/.